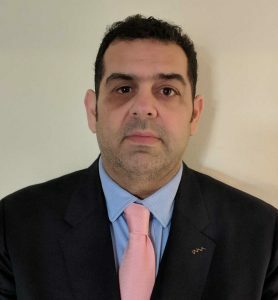 Nicolas Avdelidis has initiated several research areas in which he has published widely, achieving a high number of citations and attracted substantial funding, managing a growing and vibrant research portfolio (being the coordinator and/or principal investigator of more than 20 projects). His research interests include non-destructive (NDT) imaging techniques (incl. visual, IR, US, THz) for various applications, robotics NDT and UAV inspections, thermographic image processing for defect detection and analysis on materials and structures, autonomous systems sensing and imaging, DRI (Detection, Recognition and Identification) using advanced IR imaging and image fusion using non-invasive imaging techniques. Andriy Chertov received his PhD degree in Physics at the University of Windsor. He currently works as Research Associate, involved in research and development of ultrasonic inspection methods for resistance spot welds. His areas of expertise include signal and image processing, ultrasonic testing, probes, programming. Andriy is a member of ASNT and is involved in Research Council activities. 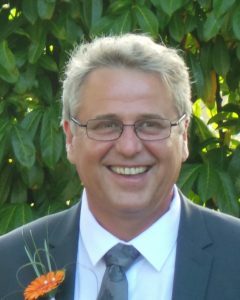 Jean Dumoulin received his Ph.D. in energetic systems from the National Institute of Applied Sciences (INSA) of Toulouse in 1994, specializing in disturbed aerodynamic wall heat transfer identification by infrared thermography (research works carried out at ONERA). He joined the French Institute of science and technology for transport, development and networks (IFSTTAR :previously LCPC : Laboratoire Central des Ponts et Chaussées) in 1997. Since 2012, he is Associate Professor (renewed in 2015) at the Department of Electrical and Computer Engineering of Laval University in Québec City (Canada). Pierre Servais has served 15 years as technical officer at Belgian Air Force as responsible for NDT squadron. In 2002, he became the first level 3 NDT in 6 methods. In 2007 he worked mainly for Airbus Group inside Europe to validate aerospace manufacturing industries for their NDT processes. He made also more than 100 Nadcap audits and was the founder of National Aerospace NDT Examination Center. He is also certified by Rolls Royce, Boeing, Safran and more recently by ASNT. He is also responsible level 3 NDT for 28 companies in Europe and Asia. 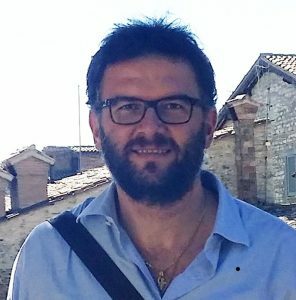 Stefano Sfarra received his PhD in Mechanical, Management and Energy Engineering at University of L’Aquila (Italy) in 2011. 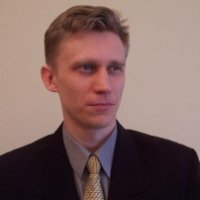 He worked in the same University as a Postdoctoral Fellow until October 2017 when he became a Researcher at Department of Industrial and Information Engineering and Economics (DIIIE) in the same Institution, while since December 2016 he is an external Researcher for Tomsk Polytechnic University (Russia). Dr. Sfarra focus its attention on active infrared thermography, speckle metrology, holographic interferometry, near-infrared reflectography, and finite element simulation techniques. He is an active collaborator for Université Laval in order to develop joint projects. He is also an Adjunct Professor at The School of Restoration – The Academy of Fine Arts in L’Aquila (Italy). Gunther Steenackers received a degree in electro-mechanical Engineering at University of Brussels (VUB) in July 2000. From 2000 to 2004 he worked as an modal analysis consultant for the company LMS International, spin-off of the University of Leuven. In 2008 he obtained his PhD on Finite Element Modelling and Updating from the University of Brussels. 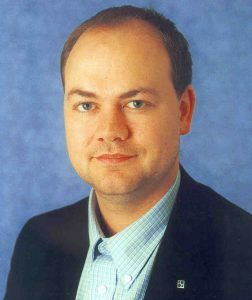 In 2012, he became associate professor at the University of Antwerp focusing on active infrared thermography coupled with finite element simulations and optimization techniques. He is currently also invited professor at the VUB. 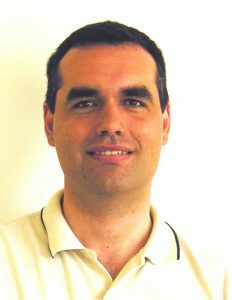 Rubén Usamentiaga is an Associate Professor in the Department of Computer Science and Engineering at the University of Oviedo. He received his M.S. and Ph.D. degrees in Computer Science from the University of Oviedo in 1999 and 2005, respectively. In recent years he has been working on several projects related to computer vision and industrial systems. His research interests include real-time imaging systems and thermographic applications for industrial processes.